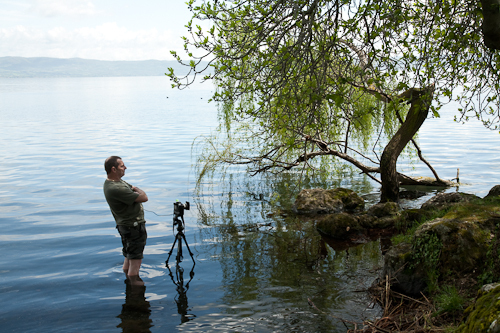 Lake Bolsena is one of the magnificent sights of Italy. It has been considered a lake of great spiritual importance and mystery for thousands of years. It was the sacred lake of the Etruscans and centre of their pagan cult from 900BC till suppression by the Catholic church, it still has a powerful effect on anybody who visits its shores. William Turner passed by here in 1795 and he like us, would have marvelled at the the magnificent light, the clearness of the air even in high summer, and the picturesqueness of its lakeside villages such as Capodimonte and Bolsena town. This latter is home to not one, but two miracles. 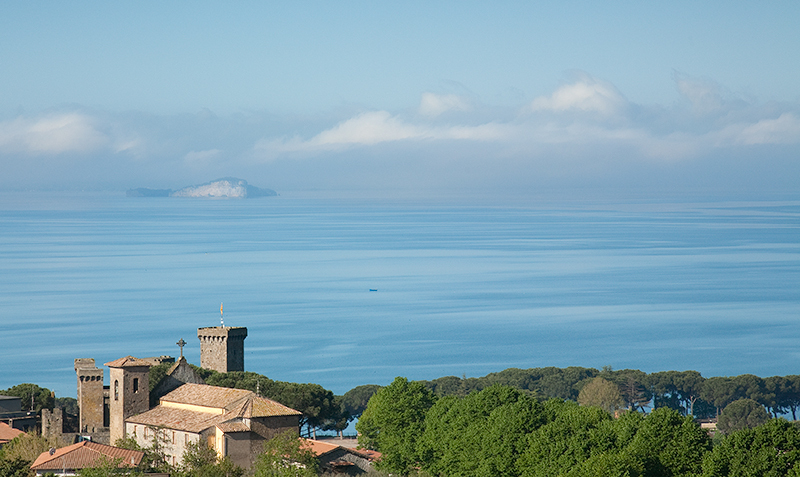 Bolsena lies on the old Via Francigena, the pilgrims’ way from Canterbury to Rome. Lake Bolsena is an extinct volcano 13km long by 11 wide with two islands, both containing old villas, churches and ruined castles, but now uninhabited. In size it is the second biggest crater lake in the world after Lake Titicaca, but unlike the Bolivian lake has no rivers flowing into it, just one flowing out, the river Marta, the sacred river of the Etruscans. On occasions we hire a boat to visit the islands which, with their high cliffs surmounted by chapels and ruins, have an almost gothic quality. The rock is honey coloured tufa, the sand is volcanic and black. Occasionally around the islands it is possible to spot a flamingo, while grey herons, egrets and the gorgeously coloured bee-eater are common. 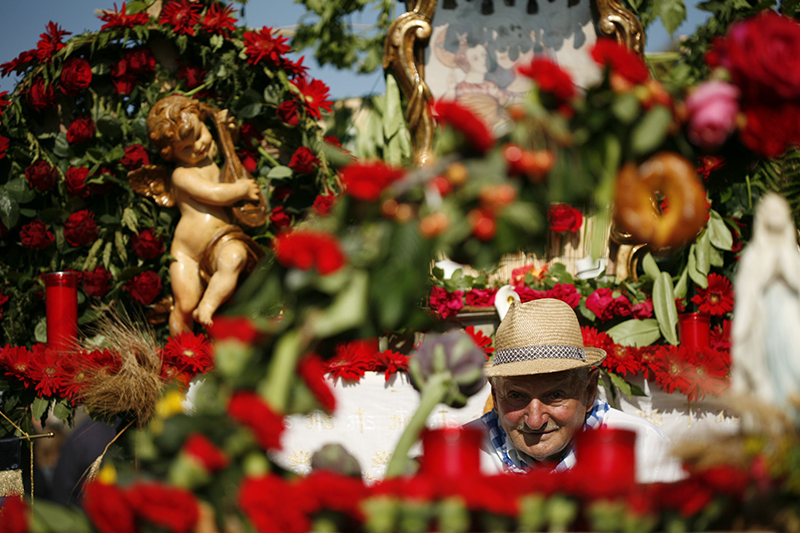 took place every year, the mysterious Fanum Voltumnae the exact location of which is still wrapped in mystery. The celebration was still being held under the Emperor Constantine in 337 AD but was ruthlessly suppressed by later Christian emperors. The first Bolsena miracle in which the convert Cristina is mercilessly tossed into the lake by her pagan father, may well refer to the Christian vanquishment of the pagan Voltumna. 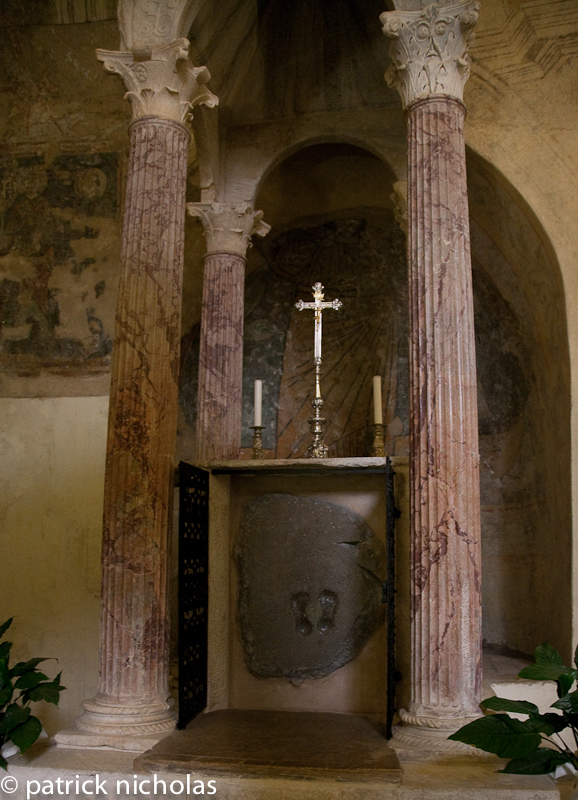 The rock tied around Christina’s feet to sink her, and on which she miraculously floated back to the surface, is the prized relic of Bolsena’s beautiful miracle church, and whatever its origins the stone has two small footprints clearly visible. 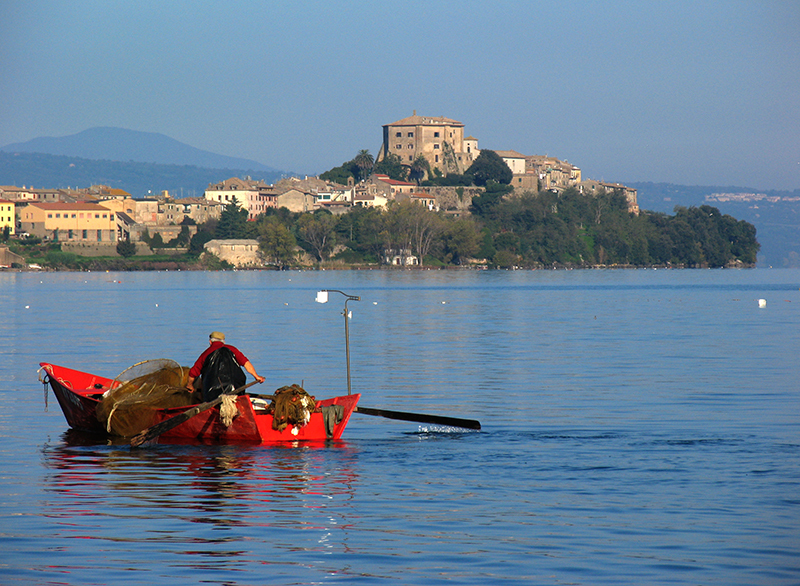 Bolsena is still a working lake, the fishing industry thrives in the village of Marta. The fisherman come in every morning with their catch of perch, pike, eel and coregone the local speciality – it was introduced into the lake in the 19th century from Northern Europe and belongs to the salmon family – it’s quite delicious and not at all like a freshwater fish. Their colourful boats line the shore in Marta, the design unchanged since Etruscan times. The fishermen with their weather lined faces and air of bonhomie are happy to be photographed with their nets and paraphernalia. This is an excellent place to practice portraiture. Marta is noted for its colourful May festival in which all the town’s trades take part, the Barabbata. Although women do not take part the whole families are involved with the construction of the elaborate floats which parade through the town and up to the church at the top of the hill finishing with a well earned boozy picnic at noon. Thanks! Look for additional posts on this topic soon. Also like to admire the time and effort you put into your blog and detailed information you offer! I will bookmark your blog! 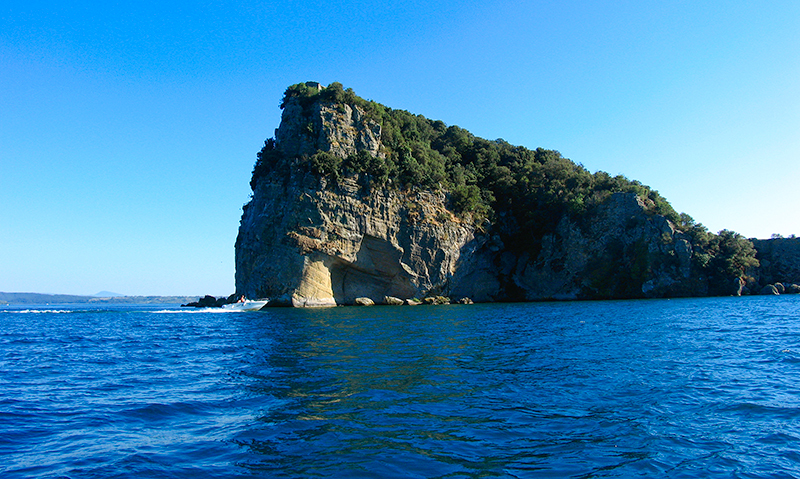 Hello, your articles here Lake Bolsena | Camera Etrusca Blog to write well, thanks for sharing!